Imagine needing to connect a Hubspot form with PayPal so people registering for a training event can pay. What do you do? Luckily, there's DepositFix, the new HubSpot payment integration that Denis Lunev has developed. 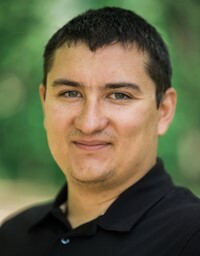 I started working with Denis in early 2016 when we connected to discuss API integrations, his area of expertise. More specifically, we discussed creating an integration between HubSpot and PayPal for my client Ceramic Tile Education Foundation so they could register training and tile installation certification registrations. The result has been ideal. Not only can participants pay online, but we can easily segment and nurture via workflows the various program registrants in true inbound marketing fashion. The official HubSpot announcement about DepositFix gave me an opportunity to catch up with Denis to ask him a few questions. CB: Denis, tell us about your background. DL: I received my bachelors in Computer Science and started working as a Software Engineer more than 10 years ago. I have worked for a variety of companies, including fast growing startups as well as large enterprise corporations. But, I've always had an entrepreneurial spirit, so I launched multiple software products. I also consult with many businesses and learned a lot about their challenges in sales, marketing and operational processes. CB: How did you become interested in integrations? DL: Many companies I consulted with were using dozens of different software systems inefficiently. Those systems didn’t talk to each other and it required a lot of time to make all of them integrate. So, I focused on integrations and automation of various processes for those businesses. I came across multiple clients who were using HubSpot and had the same problem – lack of ecommerce functionality in HubSpot. So, about a year ago I founded DepositFix to help solve this problem. DL: DepositFix is a service that integrates with HubSpot and allows you to easily accept payments. Also, it automatically syncs all payment data into HubSpot and links it to the contacts, so post-purchase marketing campaigns and segmentation can be automated. CB: What do you need to make it work? DL: You need a HubSpot account as well as a Stripe or PayPal account. The installation process takes just 4 clicks. DepositFix connects HubSpot with your payment system (Stripe/Paypal) and you can start accepting payments in 2 minutes. CB: What makes it such a valuable solution for HubSpot users? DL: There is no e-commerce component in HubSpot, and some businesses want to sell their services and products online. Of course, there are sophisticated eCommerce solutions like Shopify or Magento, but many companies just don't need a full blown e-commerce store. DepositFix is built specifically for HubSpot; it allows it to sync contact information, show all of the transactions or subscriptions inside HubSpot and run marketing campaigns based on purchases. Also, it helps increase paid conversions thanks to multiple payment modes: fixed payments, subscriptions and dynamic amounts. CB: How do you ensure security for financial transactions? DL: We never send credit card information (number, cvc, exp date) to our servers. Instead we use Stripe tokens to charge the cards. Inside DepositFix, we only keep data about contacts (name, email, contact id from Stripe) and transactions (date, amount, product name, transaction id from Stripe). This information is kept to help you segment the various purchases. CB: You mentioned different payment modes. Could you explain what those are? DL: There are multiple types of payments available: fixed price payments, subscriptions and dynamic amounts. A fixed price payment is a set payment amount. A subscription payment is a recurring amount over a set period of time. Dynamic amounts and timeframes that change based on what the user chooses. Also, DepositFix allows you to accept discount codes for both single payments and subscriptions. Many of our customers sell services or digital products. We also have nonprofit organizations that use the full potential of dynamic subscription features (where donors can specify how much and how often they are ready to donate). CB: Could you share some examples with us? DL: One of our customers is Union Gospel Mission, it’s a nonprofit organization helping the homeless with food, shelter and job training. 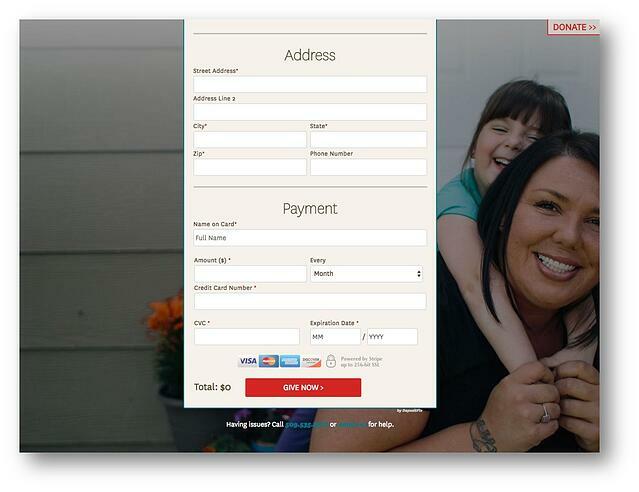 They use DepositFix to collect donations and manage relationships with their donors. Notice in the image below how the donation amount and timeframe are up to the donor. DepositFix saved us many hours of development time when we transitioned to the HubSpot website platform. With DepositFix, our non-profit organization can easily track online donations right in HubSpot, send follow-up emails for successful or failed payments, and create payment forms with custom metadata fields. Another example is the project you and I worked on together, Ceramic Tile Education Foundation, which is a non-profit that provides training and certification for tile Installation professionals. We created a custom form for them to accept payments for courses via PayPal. 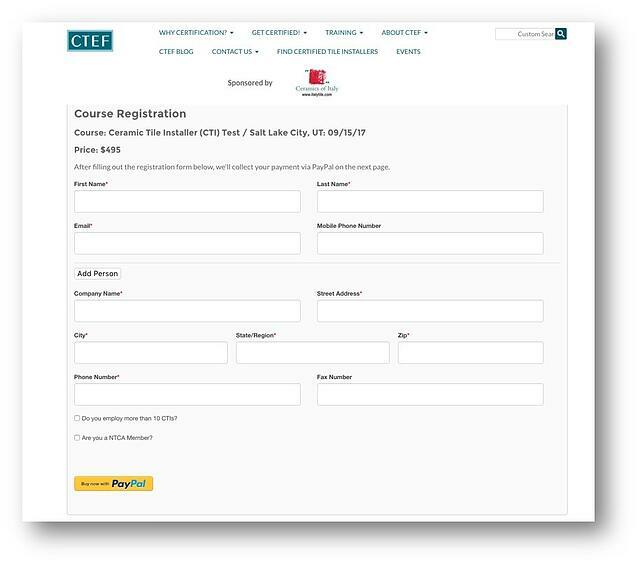 With this form, it's possible to register several people for one course, apply different class payments based on volume and even apply a discount. CB: Denis, great example! 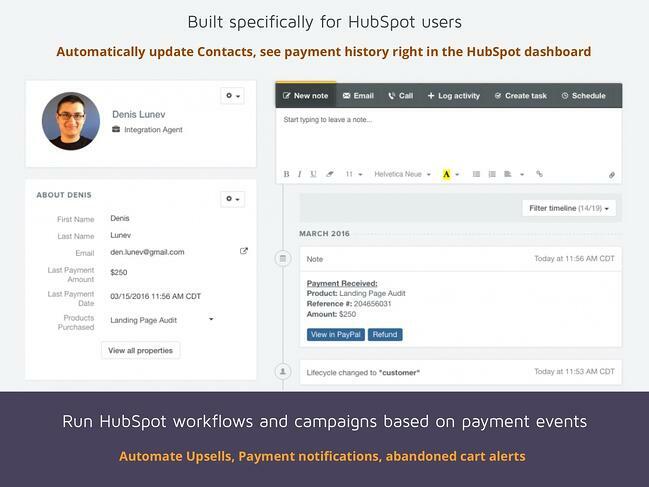 It's truly a perfect solution for integrating payment with HubSpot, and then being able to build automation around those actions. So, what’s next for DepositFix? DL: We are always looking for new ways to help companies to connect payment management with sales and marketing. We have plans to extend our subscription management functionality as well as add invoicing service to HubSpot CRM. CB: How can people learn more about DepositFix? DL: You can find more information by visiting https://www.depositfix.com/. DepositFix costs $50/month, which includes all features and supports an unlimited number of forms and transactions. The standard free trial period is 15 days, but for the readers of your blog we offer an extended trial of 60 days. Just contact me at denis@depositfix.com mentioning Simple Marketing Now. CB: Thanks very much, Denis, for that extended trial! I hope many readers take advantage of it. Having a HubSpot payment integration solution such as DepositFix opens up many new inbound marketing possibilities that otherwise weren't available. How might you make use of it?